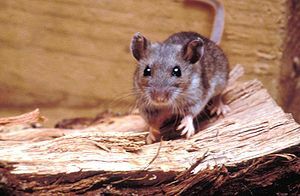 So far in the month of September there have been eight confirmed cases of hantavirus pulmonary syndrome (HPS) and three confirmed deaths due to infections with Sin Nombre virus, a hantavirus contracted at Yosemite national park. Up to 30,000 other people were exposed to this potentially fatal disease, yet before this very few people had heard of Sin Nombre or hantaviruses in general. (Editor’s Note: 230,000 more people who visited Yosemite national park were notified of the virus on September 13th, 2012). Relatively little is known about this rare disease, but we do know enough about the basic virology and ecology of this virus to take effective steps towards prevention. Read on to find out more about Sin Nombre virus and what we can do to protect ourselves from infection.